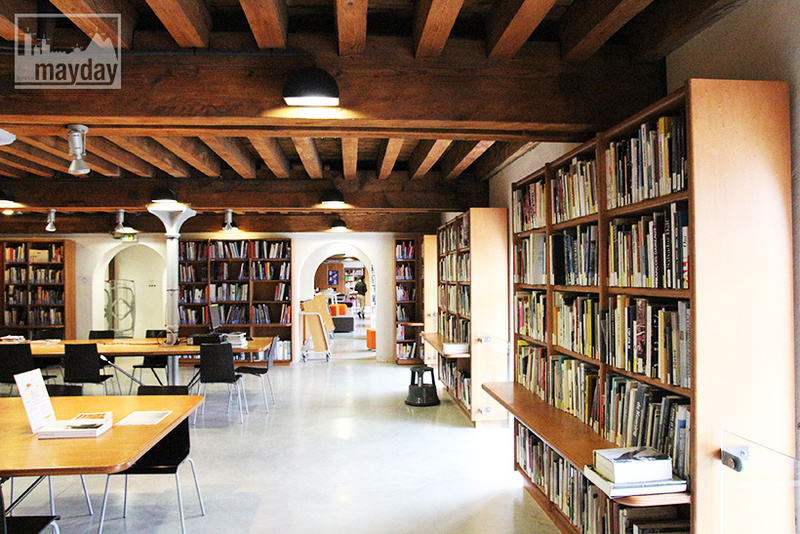 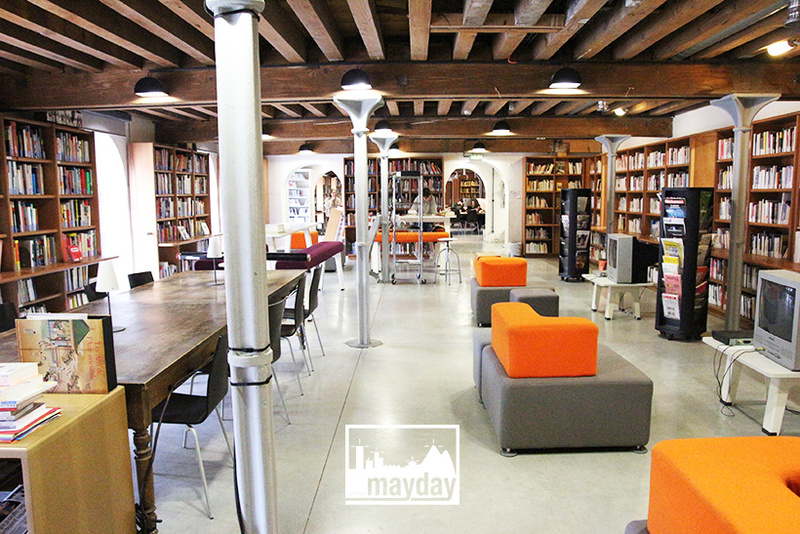 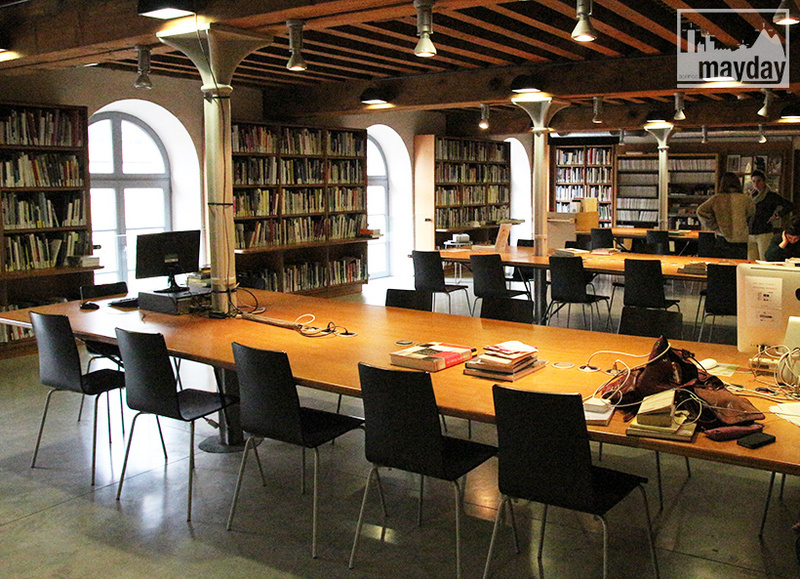 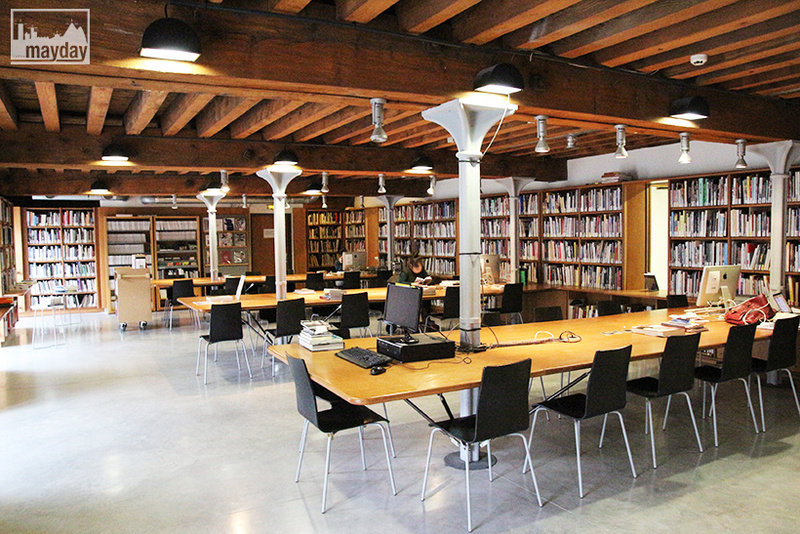 Modern wooden library, Lyon (clav0087g) | Agence Mayday, scouting agency | Best location for your project concerning : feature films, TV, commercials, promos, photo shoot & events. 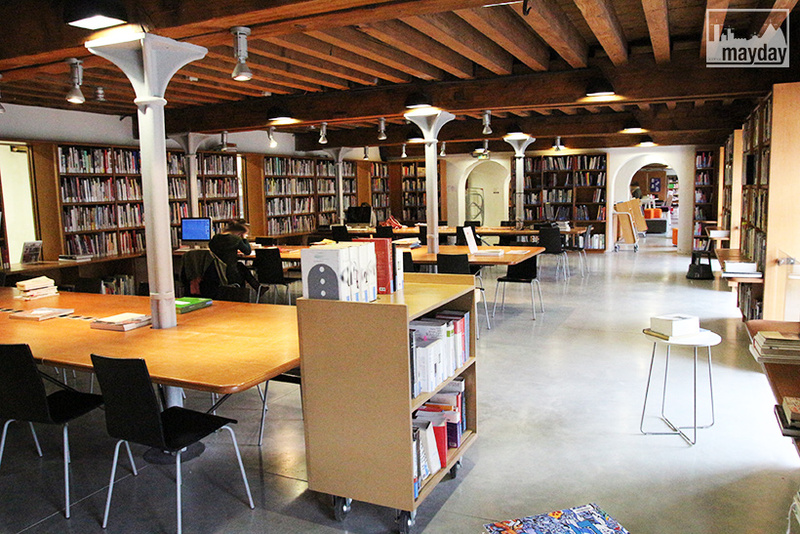 Vast library with a research and a reading room, on the same floor. 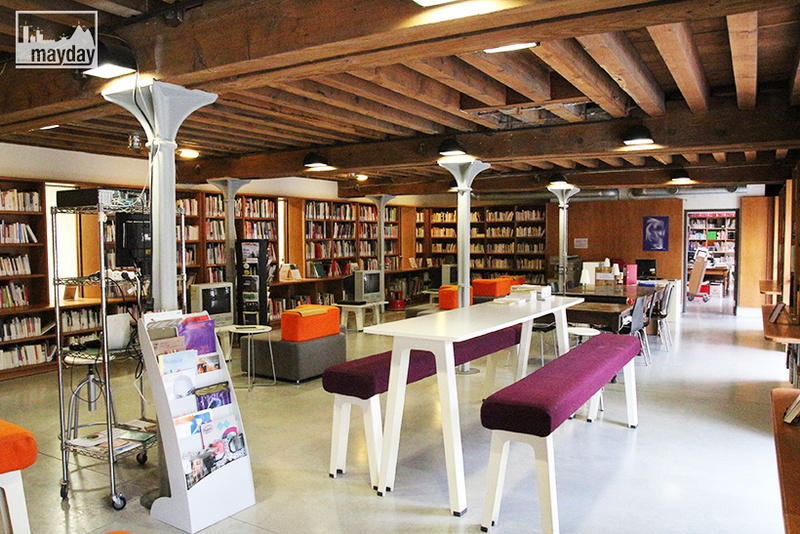 High ceiling «à la française», grey concrete grounds, modern and colorful furniture bringing a color touch in this subdued space.